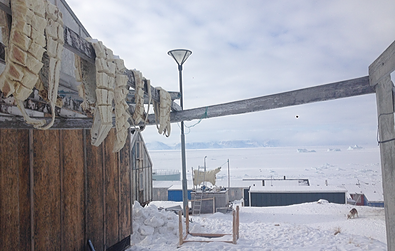 The more things change, the more they…..
Our Wintergreen Spring 2017 Arctic adventure took us to Siaropoluk, Greenland, the northernmost village in the world. 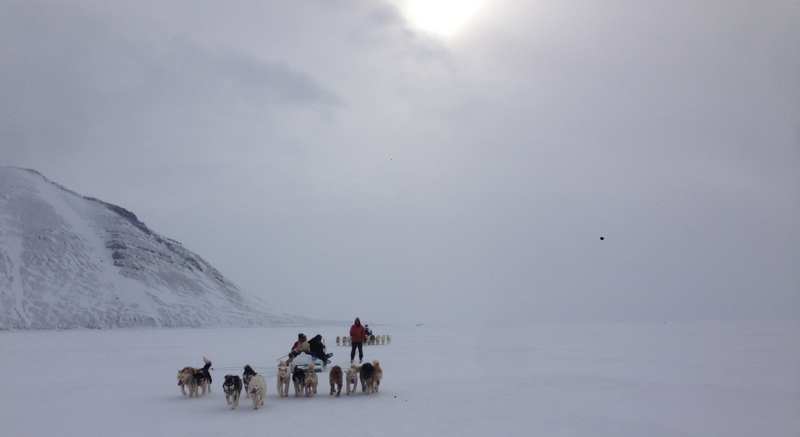 We arrived by dogsled with our Polar Inuit friends with hopes of spending the night. Alas, there was no room in the inn. Well actually, there was no inn. But a hospitable village family offered to let our group of 11 ‘crash’ on their floor. 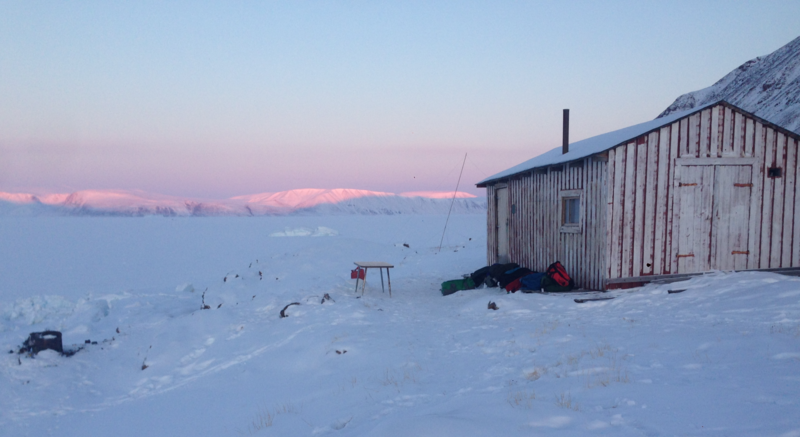 Although theirs was a contemporary Danish-style home (with generator power but no plumbing), it featured trappings of their traditional Inuit lifestyle: a caribou hide on the floor, a hind quarter of wild game thawing in the corner, bird feather & bone amulets amongst knickknacks and family photos on curio shelves. Most curious was a dried eggplant-shaped object suspended by string from the center of the ceiling. It was clearly a desiccated body part of some kind – kidney, liver? The language barrier prevented us from discerning its identity. But our Inuit hosts indicated they had recently killed a marauding polar bear and they pointed to fresh Arctic wolf tracks just outside their window. Hmmm…. the object and whatever powers it presumably conveyed upon the dwelling remained a mystery to us. This month, back home here in Ely, the intrigue heightened with a passage in a new book I’m reading. It’s about an ill-fated American polar expedition of a century back that sought to find Crocker Land, the Arctic version of the “Lost Island of Atlantis.” In 1915, that team based out of that same village we visited. 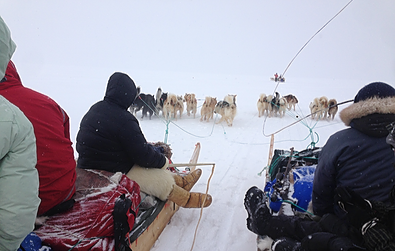 And, much like we did, the team members crowded in with an Inuit family. The crew included the team doctor, Hal Hunt, who applied his talents to health issues among the Inuit as well as his colleagues. Among his patients was a native woman who died of unknown causes. An autopsy revealed a cancerous tumor the size of a liver. Apparently, the Inuit felt it contained mysterious powers because, Hunt notes, it ended up being suspended in the hut as an amulet, just like the body part we observed. But while ours is still imbuing its powers, a century ago his had a different destiny. While Hunt and his colleagues were sharing morning tea with their Inuit friends, a ravenous sled dog burst through a window in an explosion of broken glass, grabbed the suspended part and raced back out into the snow with its morsel. The astonished onlookers reeled back in their chairs in a hysterical fit of confused laughter.